Sonia attended the University of Staffordshire and attained a Law Degree. She is currently studying the Legal Practice Course and a Masters in Law at the University of Law. She is due to attain this qualification in September 2019. 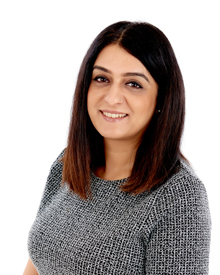 Sonia has recently joined the firm having previously worked in legal roles with a Local Authority, Housing Association and a locally based firm of Solicitors.